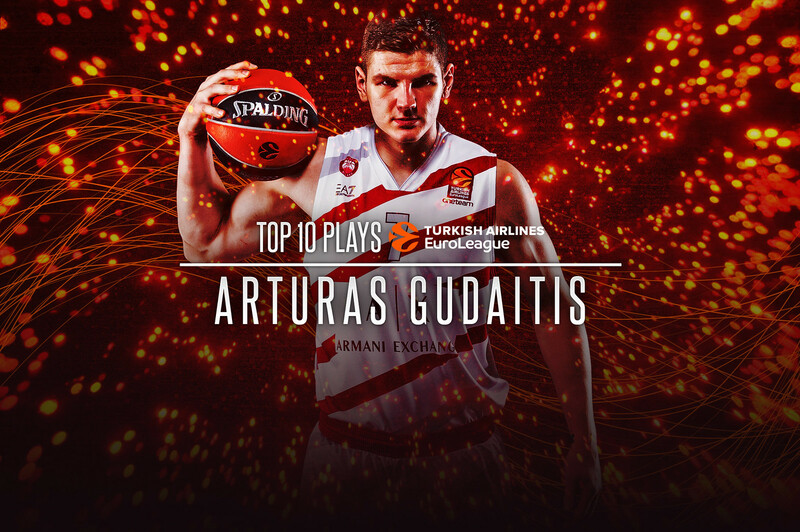 Arturas Gudaitis’s EuroLeague season lasted five hundred minutes and eight seconds, but over the 21 appearances that he had before his infamous injury, he accumulated spectacular numbers. Gudaitis was fourth in the league for index rating and third in rebounds per game (and offensive rebounds per game), but first in the index rating per minute played and for offensive rebounds per minute spent on the court. He was also first for free throws earned (6.33), for free throws made (5.10 per game), third for fouls drawn (4.81, but first for fouls drawn per minute played or 8.08 every 40 minutes). He converted 80.4% of his free throws, fourth center overall, but Tibor Pleiss and Kevin Seraphin shot less than a quarter of his free throws. Seventeen time, he scored in double figures and finished with 63.9% in two-pointers. He set the club record for rebounds in a EuroLeague game, with 17. As a matter of fact, he has established himself as one of the most effective centers of the competition, a status consistent with the development of his inside game, no longer based only on “rolls”, offensive rebounds and timely cuts from the weak side, but completed with some low post moves. In the two minutes of the video below, there are 10 of his most spectacular plays of the season plus a final series of “extra” plays. As the number 1 play was chosen his overwhelming block on Anthony Randolph at the board in the Milan game against Real Madrid. Gudaitis was also sixth for blocks with 1.00 on average. And until he was able to stay on the court, he also led the EuroLeague ranking for “and ones”, the specialty of the center of Klaipeda made possible by his extraordinary physical strength. These days, Gudaitis is working to recover from the knee injury suffered in Gran Canaria. These images serve the purpose to refresh everybody’s mind and remind us of who Arturas Gudaitis is and will still be.